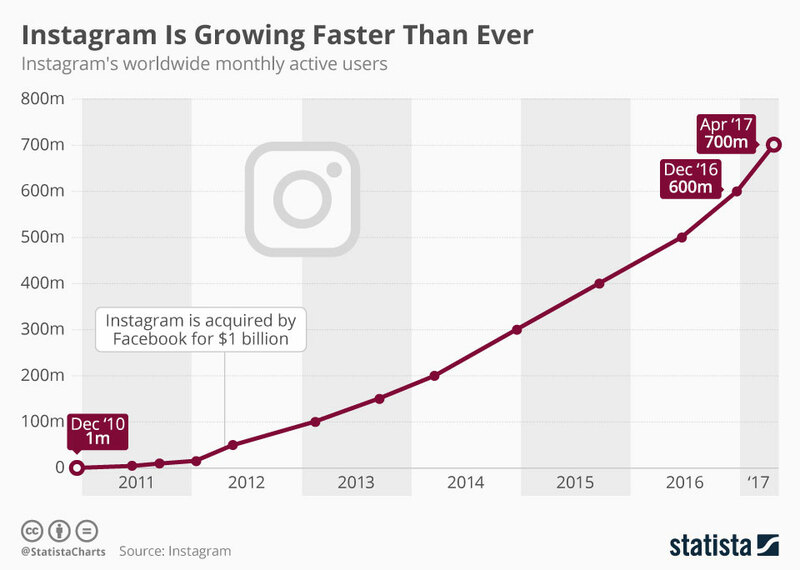 Launched in October 2010, the Instagram community grew to 1 million users in just three months- This ballooned ten-fold to 10 million users in 2011. Instagram for Android launched in 2012 saw a whopping 1 million downloads in its first day. It later skyrocketed to 5 million Android downloads in the first 6 days. Facebook buys Instagram for $1 billion, 2012. When Instagram first introduced video in June 2013, more than 5 million were shared in the first 24 hours. The Instagram community has grown from 1 million active users in December 2010 to more than 700 million active users in April 2017. In a study of 55 brands, the brands posted an average of 1.5 times per day. The best times to post on Instagram are Mondays and Thursdays at any time except between 3:00–4:00 p.m. in your target audience's time zone. The most common posting frequency for brands on Instagram is 11–20 times per month, with almost one-third of companies measured falling into that bucket. 90% of the Interbrand 100 companies now have Instagram accounts. Of all 100 companies, 80% post at least one Instagram photo or video per week. Of the Interbrand 100 companies, the number of brands that post on Instagram more than 50 times per month has doubled from 7 in 2014 to 14 in 2015.